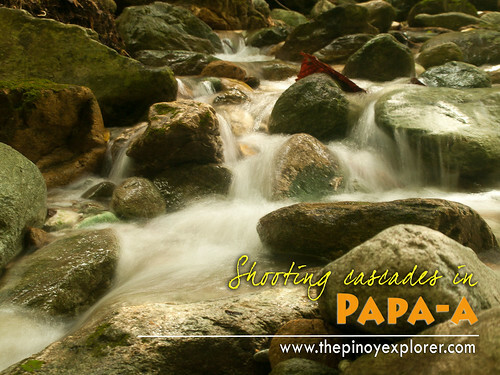 Papa-a is another backyard nature wonder I have visited in Brgy. 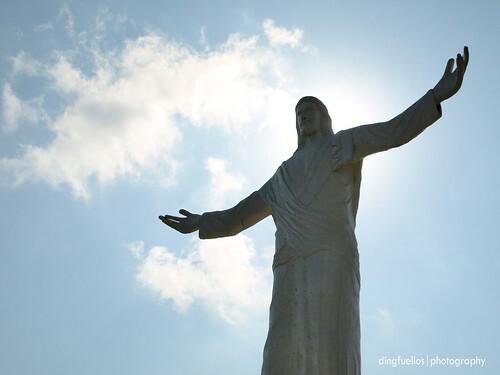 Mangangan I, Baco, Oriental Mindoro. It was just a good 50 meters hike from my friend's house! Again, they are just so lucky to have this in their own backyard! 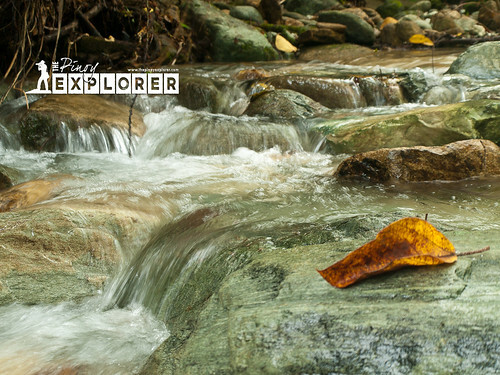 As soon as we arrived, I prepared my photography gears and headed to this rocky stream. There are no big falls to see (or perhaps further upstream, I never asked) but as soon as I stepped on it, I was simply awed by its cool and clean water! There was a looming rain, and I thought it might be dangerous to trek as there would be a possibility of a flash flood coming from the mountain. I was told, this stream can go high at 10 feet during a continuous and strong downpour. But then, the sun shone brightly in between cumulus clouds. Besides, it was a break from a week of work in Calapan City and I had to unwind even just for a day and negative thoughts can't just defeat this overwhelming natural beauty right before my eyes. 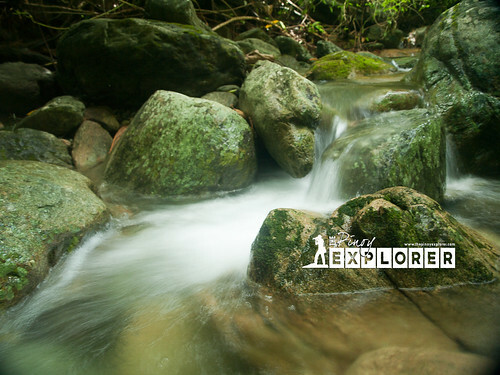 The cascade that flows between the mag-asawang bato. As soon as I saw small cascades running down the stream, I immediately thought it would be good to do long exposures. It was just disappointing that I did not bring my tripod [again!]. However, with a wardrobe good for a week, heavy documents and laptop in tow, it was cumbersome to bring a tripod on your official trips. Again, I had to improvise. Despite the shutter lag in my camera, plus the strong sunshine, which made it difficult for me to time and expose correctly, I was able to get some usable photos. Mag-asawang Bato [twin rock]. The water is so cool and clear you can see the rocks below. 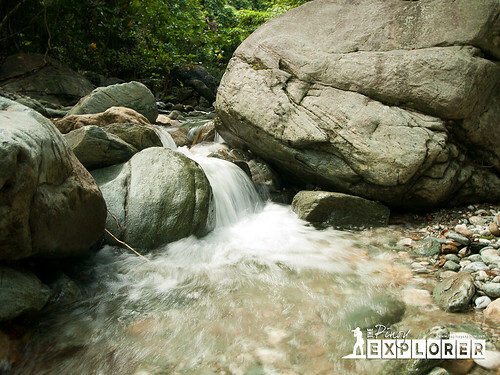 The main attraction in this stream is called mag-asawang bato [a twin rock]. It has a waist level pool in between. As soon as we arrived, I was already dying to plunge. But then, I had to accomplish my main agenda in coming here--to photograph. After doing my photography, and although not pleased with what I have taken, I thought it was time for me to plunge! It was just frustrating having a camera that does not cooperate. 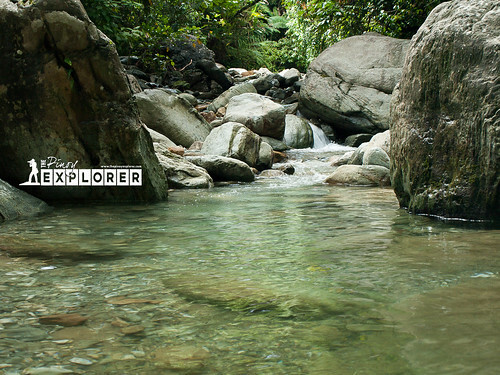 Besides, I was soaking in sweat and the cool water was just inviting and irresistible! So I took the plunge! After I was refreshed, I looked for more cascades to shoot upstream and found a well-shaded spot and got lucky to have these shots. (It is advisable to have long exposures under overcast skies or under a shade). Having no tripod was just challenging! I had to prop myself on top of rocks just so I can have these taken. Definitely, this visit was worth the not-so-bumpy trip. It was just refreshing and definitely a break from a heavy work week. If I were to describe it in one word, literally or figuratively--COOL!